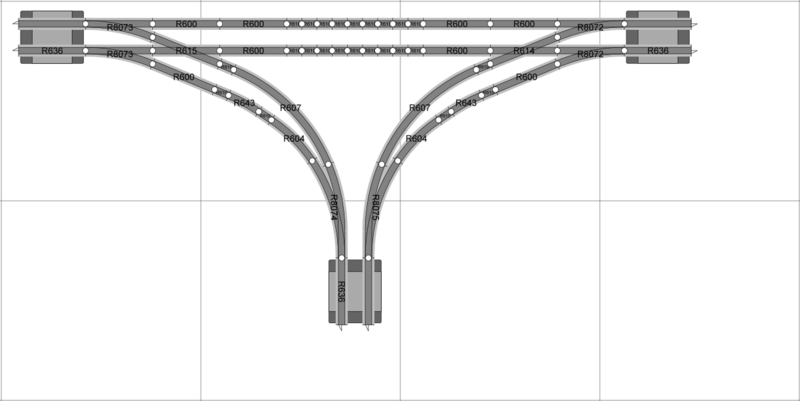 Published 28th May 2015 by Jon Scaife & filed under Model Railway. 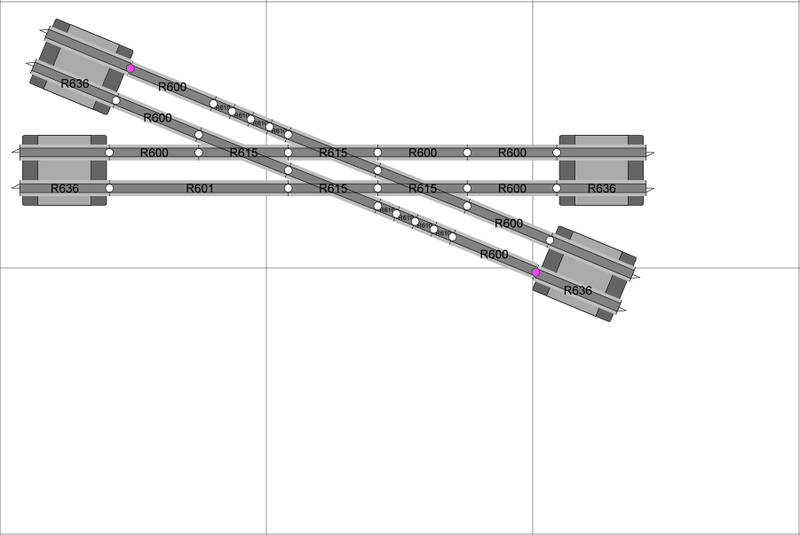 Last updated 16th October 2018 . In terms of track, most mod­el­lers now recom­mend Peco Stream­line track for a range of reas­ons includ­ing: it is believed to be bet­ter run­ning, the point radii are more suit­able for high speed run­ning of large locos, and there is a wider range of pre-made track pieces avail­able. 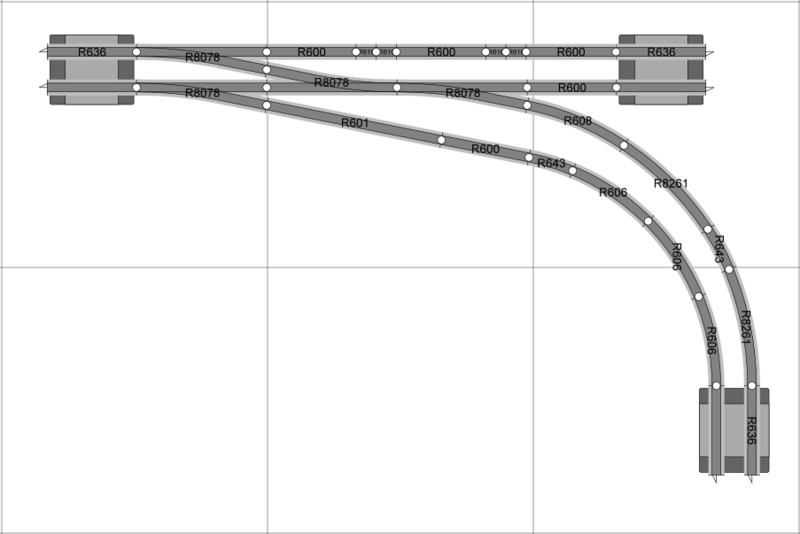 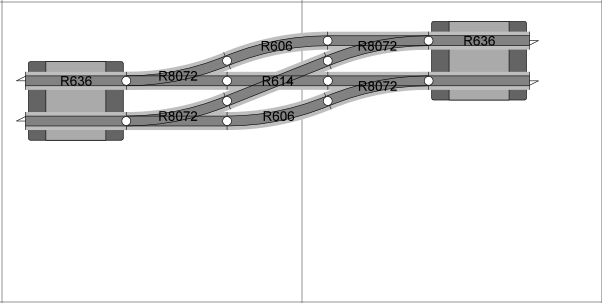 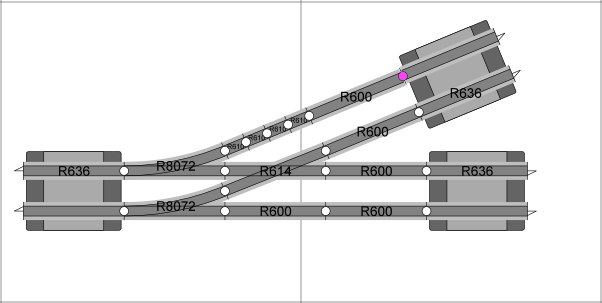 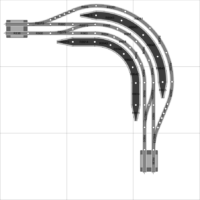 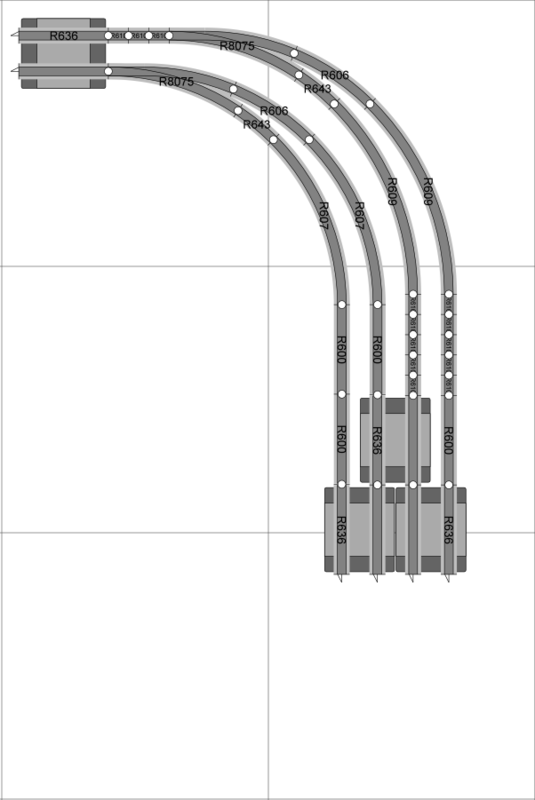 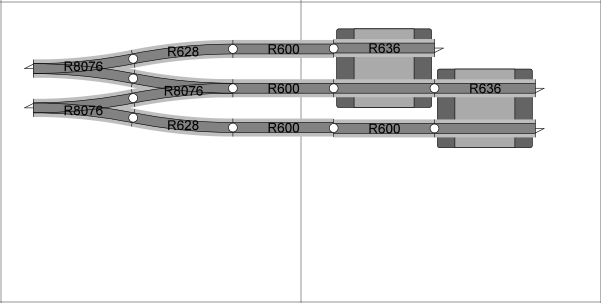 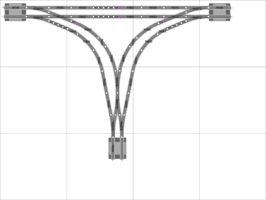 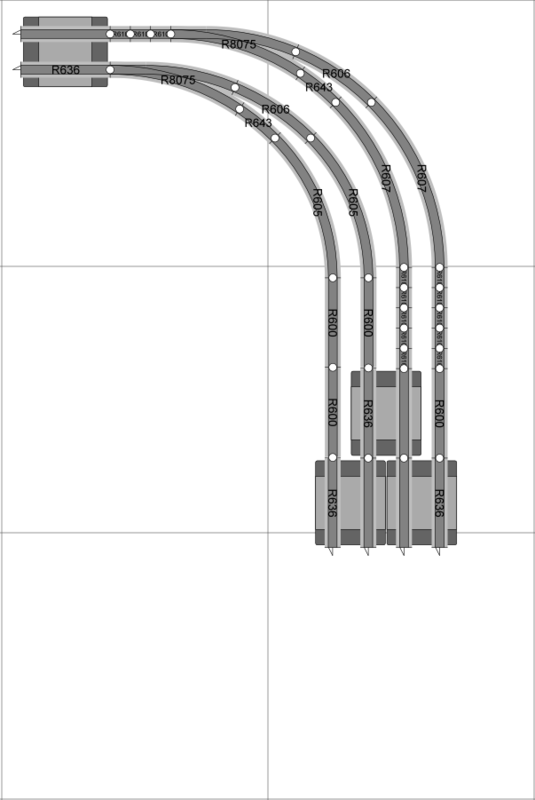 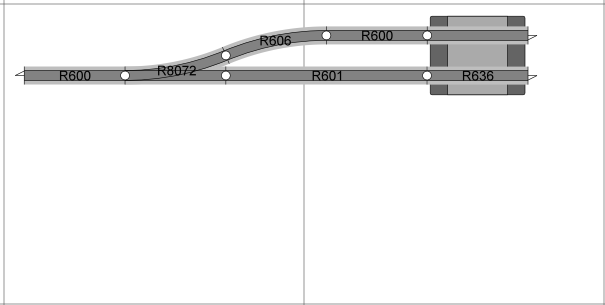 With all that said, I still have a large col­lec­tion of SeTrack so I decided to design my lay­out to work with this track to avoid the cost of repla­cing it with new­er Stream­line. 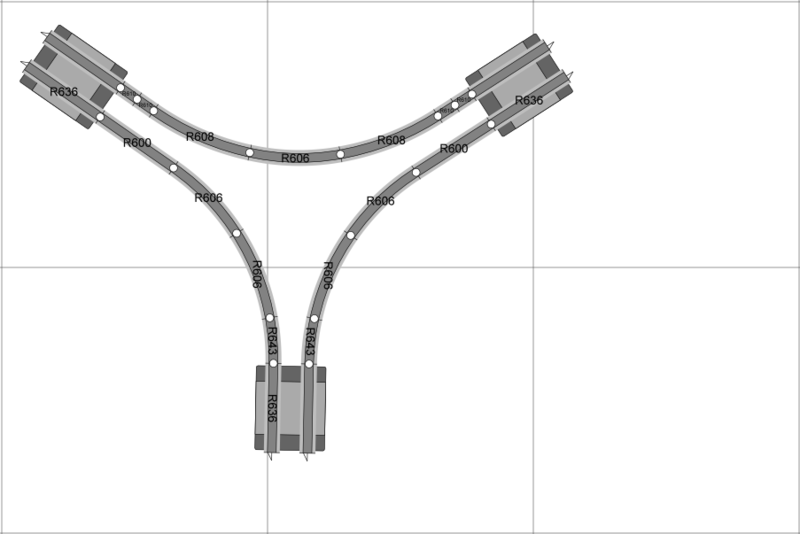 Build­ing a basic circle with SeTrack is simple enough, but more com­plex lay­outs can become tricky, and so I decided to look on google for some stand­ard geo­metry lay­outs to help me. 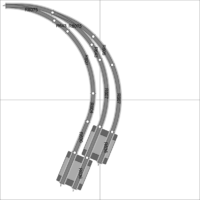 Hornby provide a fairly basic lay­out them­selves which is par­tially use­ful for curved points, but I was unable to find any oth­er geo­metry sites that included a com­pre­hens­ive set of cor­rect geo­met­ries. 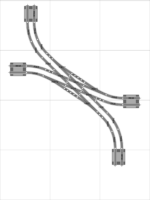 The best I man­aged to find was FreeTrackPlans.com which was a very use­ful start­ing point, but sadly includes sev­er­al examples which don’t actu­ally fit very well togeth­er. Below are a large set of track geo­met­ries I have designed in Any­Rail 5. The Any­Rail plan is also avail­able. 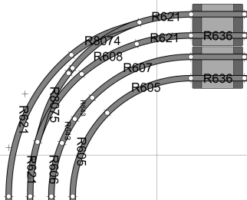 I should note that there are some examples below that tech­nic­ally don’t fit per­fectly — how­ever I have restric­ted these imper­fec­tions to instances where the prob­lem is caused by a straight piece which is frac­tion­ally too short. 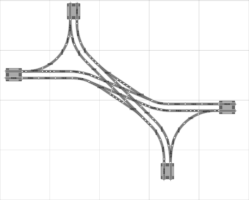 I believe that in a real world mod­el this error is so small that it wont mat­ter, and fur­ther­more that a mod­el­ler could eas­ily cor­rect them by using a longer straight piece and cut­ting it to length. 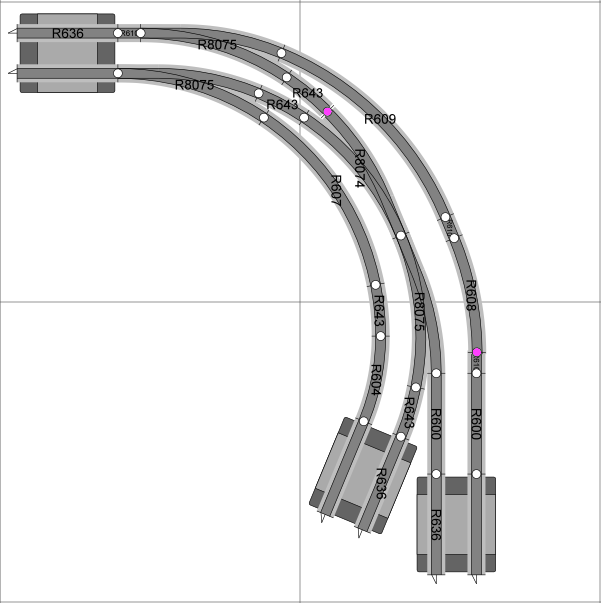 Such very minor mis­matches are high­lighted in pink at the joint in ques­tion. All such imper­fec­tions are with­in the Any­Rail tol­er­ances — as their manu­al says: “Some­times you can make the track fit by using the play (wiggle room) in the track. 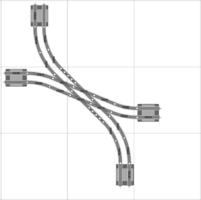 While this can be con­sidered cheat­ing, some­times you don’t even notice that you’re doing just that when lay­ing real track”. 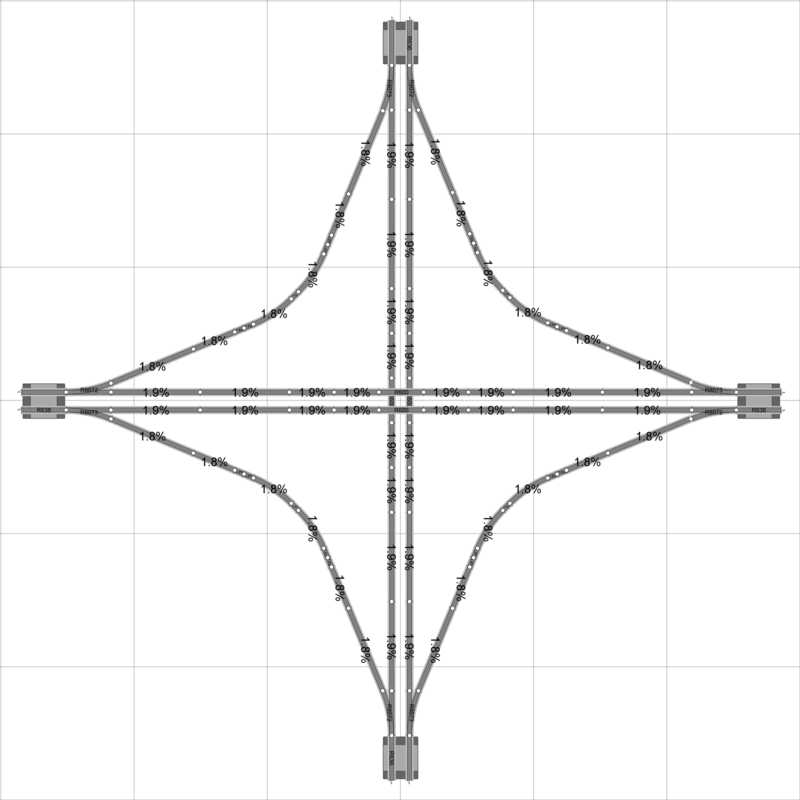 You may notice a lot of level-cross­ings at the ends of each geo­metry — these are present to demon­strate that the track at the ends is equal in length and the cor­rect 67mm par­al­lel sep­ar­a­tion for SeTrack. 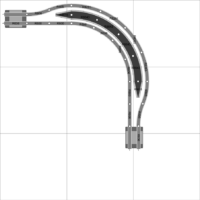 Please post any requests for oth­er lay­outs below. Great site very help­ful in giv­ing basic design inform­a­tion, thanks for your efforts. 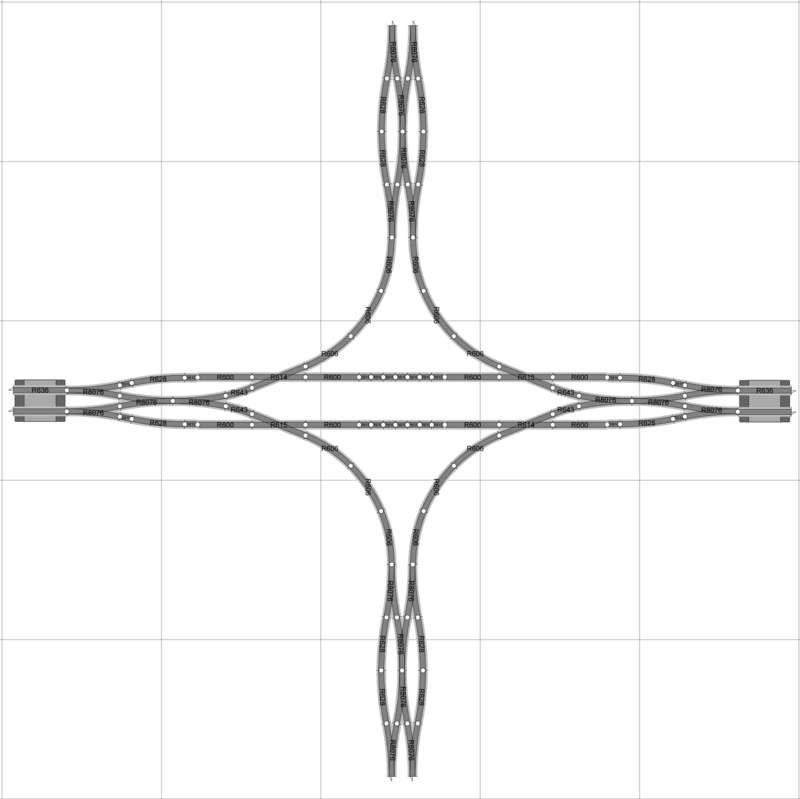 I have a ques­tion ? 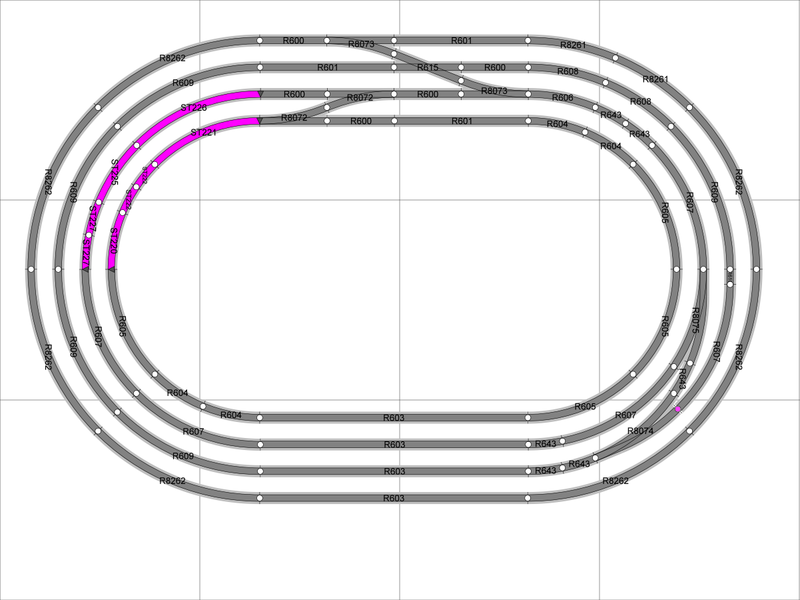 I’m try­ing to visu­al­ise if it is pos­sible to have two circles of track side by side joined with 4 curved points so the circles can be run sep­ar­ately or switched with the points to cre­ate a fig­ure of 8. In oth­er words repla­cing an X cross­ing with points. 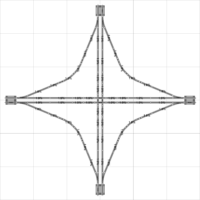 Thanks for any guid­ance. Thanks for these. 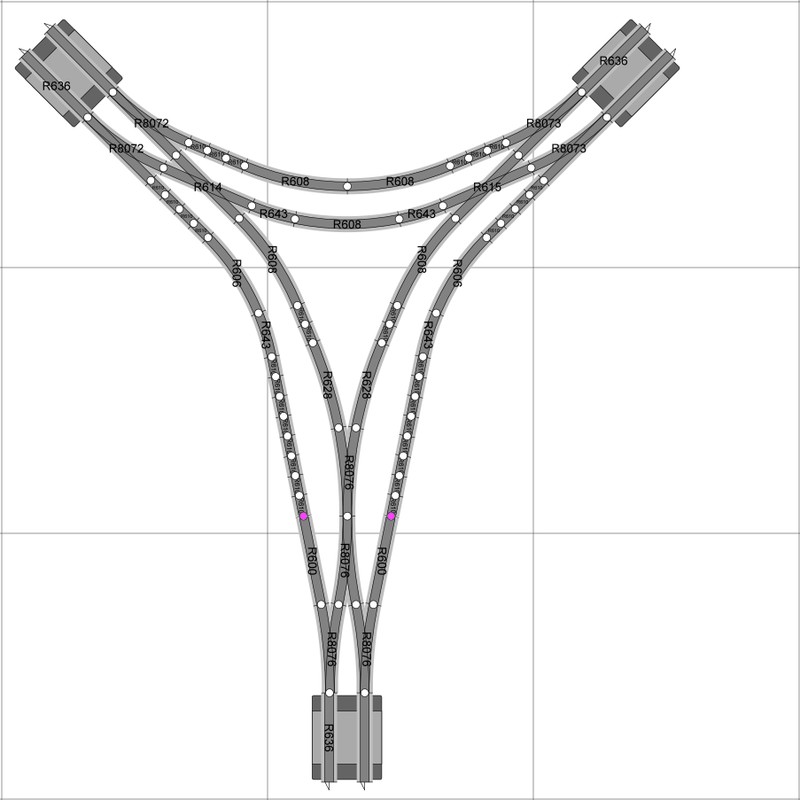 I would sug­gest mov­ing the curved cros­sov­er to its own dia­gram. 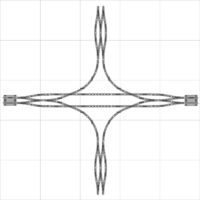 Is there a geo­metry that allows a 2nd radi­us curve in a 3rd or 4th radi­us circle? 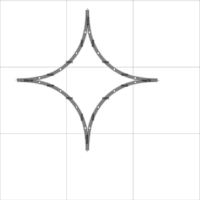 Some­thing to allow points with the curve on a 3rd radi­us circle. 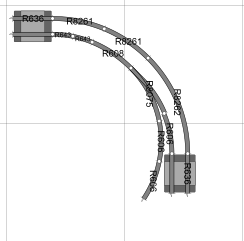 I’m not sure which “curved cros­sov­er” you are refer­ring to. 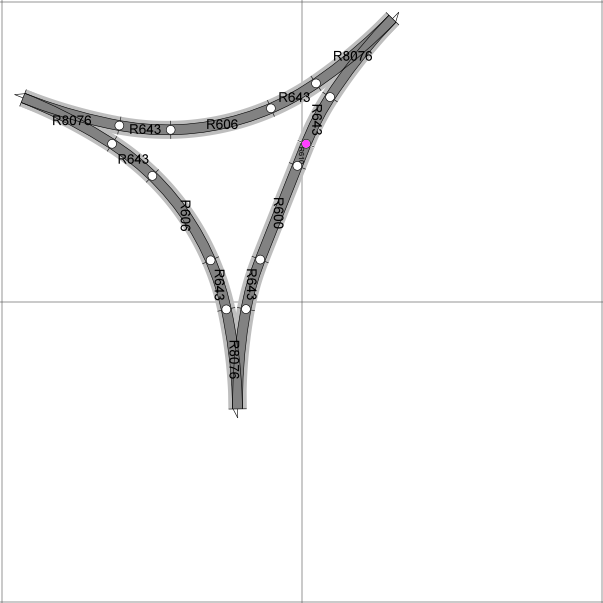 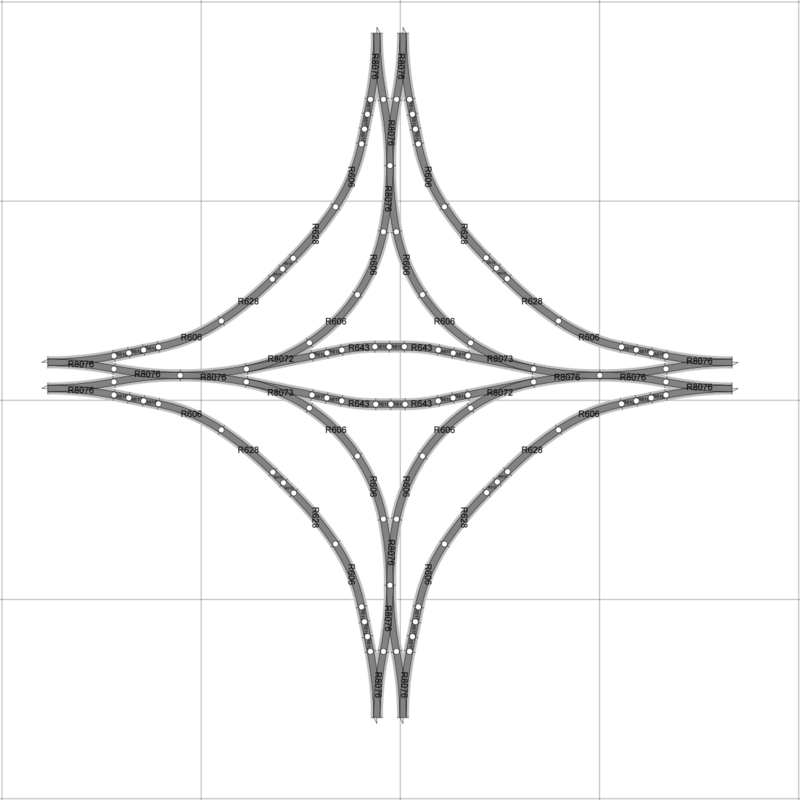 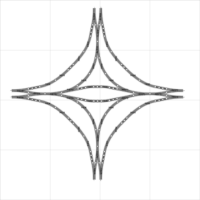 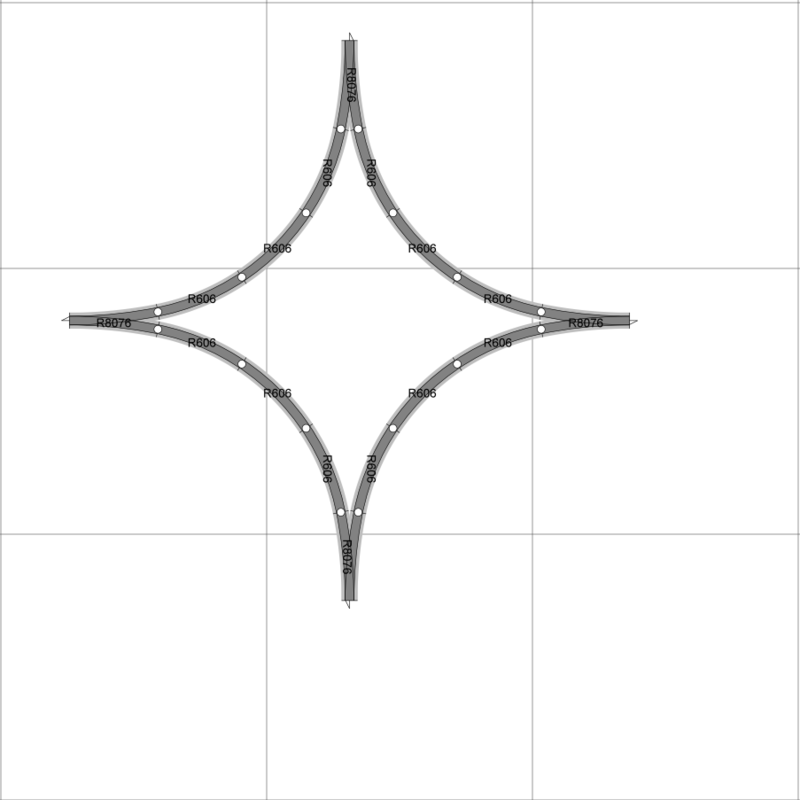 (1) The stand­ard hornby circle shows a 2nd radi­us to 3rd radi­us curved turnout geo­metry. (2) I’m not aware of any way to do a 3rd to 4th radi­us on a curve without using flexitrack. 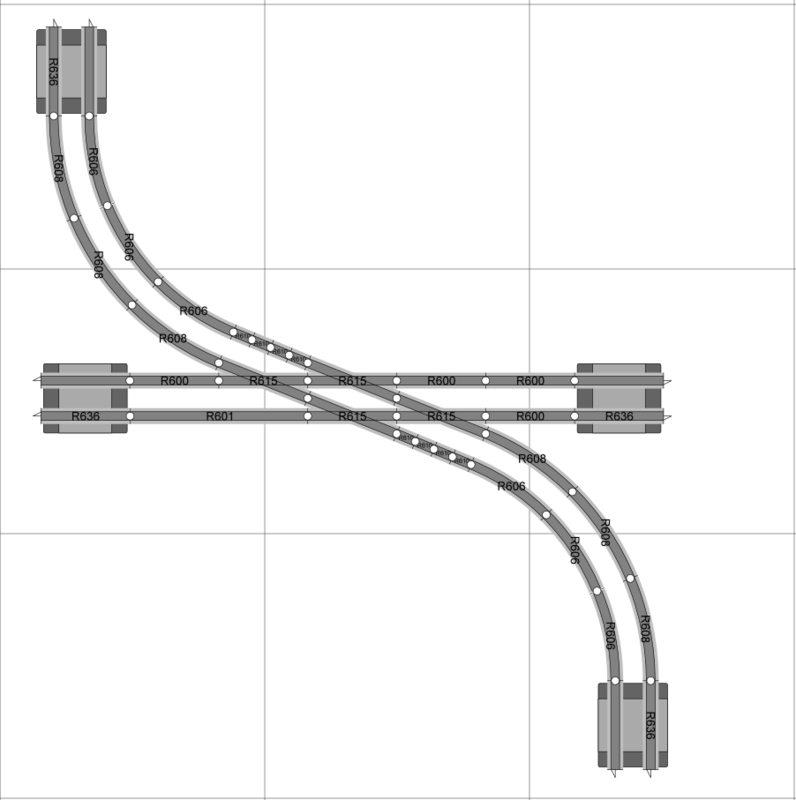 With flexitrack it can be done. (3) If you mean is it pos­sible to use 2nd radi­us curves to enable space to fit an inward turn­ing point into a 3rd or 4th radi­us turn then yes it is — you could just modi­fy the stand­ard Hornby loop to do this, or it is pos­sible to do it in a more com­pact way. I’ve added 2 extra geo­met­ries to show how to do (2) with flexitrack and (3) with a 3rd radi­us, altho it isn’t an abso­lutely per­fect fit it will be close enough real world. 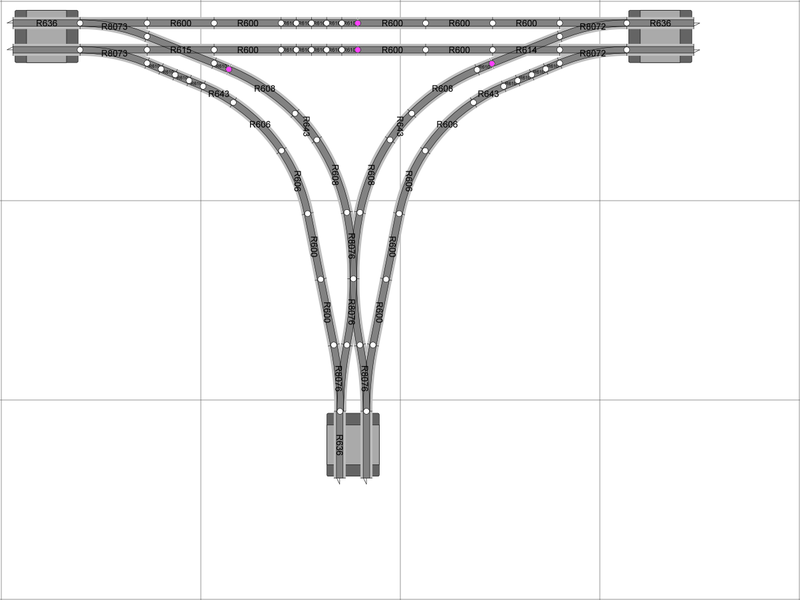 We are build­ing a child friendly lay­out to raise funds for a loc­al children’s char­ity from largely donated com­pon­ents, so your inform­a­tion was par­tic­u­larly use­ful for design­ing the lay­out using setrack curves. 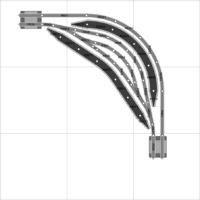 That’s great. 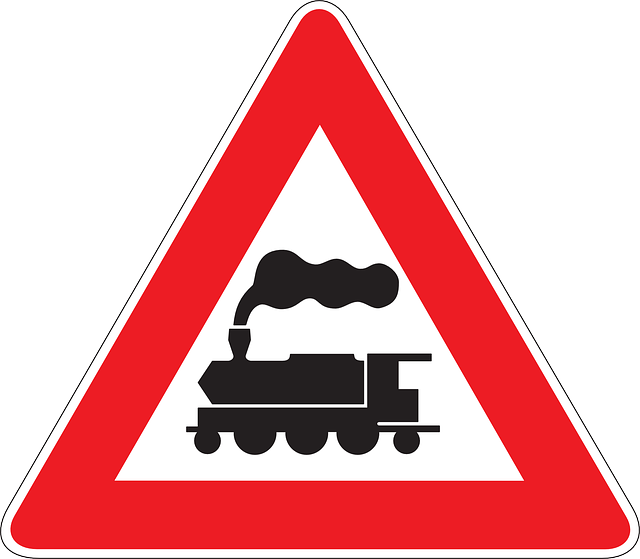 Thanks for your feed­back. 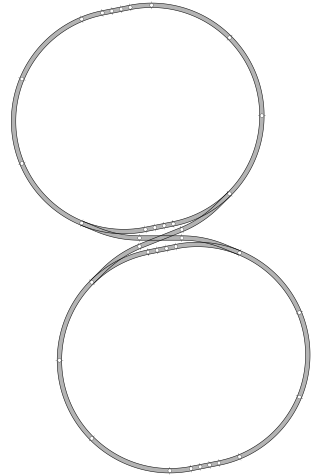 We always wel­come ‘advert­ising’ for any­thing char­it­able, so feel free to let us know more about it. 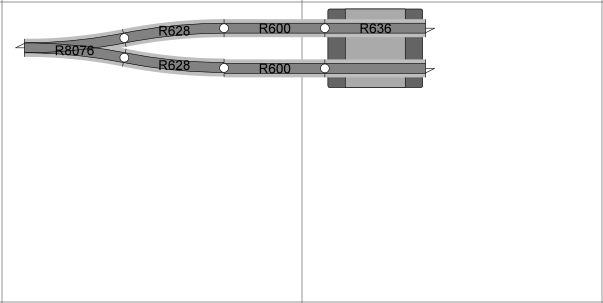 Jon, thanks for your work, shame I only dis­covered after start­ing to lay down my track. Your work, how­ever, has been use­ful in cor­rect­ing my track lay­ing mis­takes. 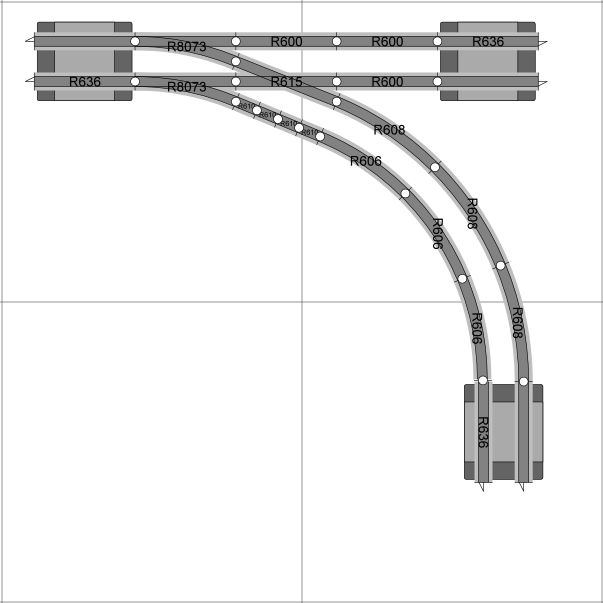 What size is the full 4 track lay­out please use­ing the 4th radi­us ? The radi­us of 4th radi­us is 572mm — so the total dia­met­er will be 1144mm (1.15m or 45 inches). 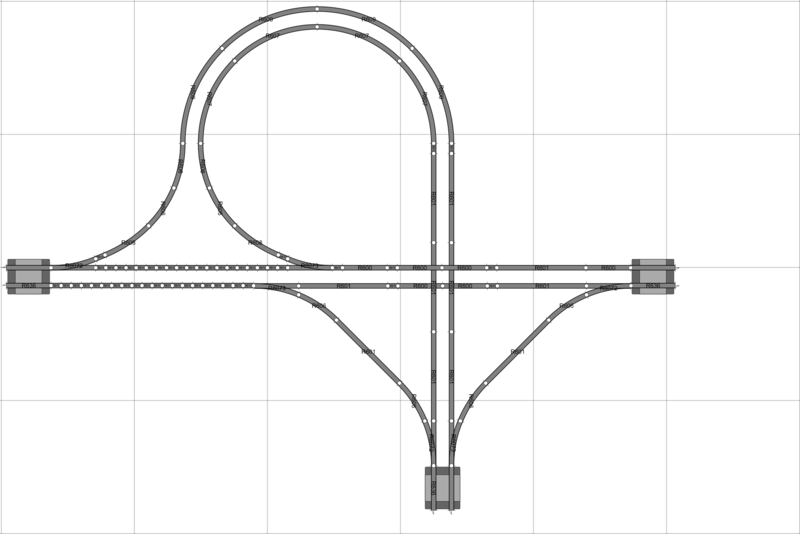 That is to the track centre, so you’d need to add on a small amount for the phys­ic­al space required. I’d sug­gest adding on half a track width at either side, and half a track spa­cing at either side. 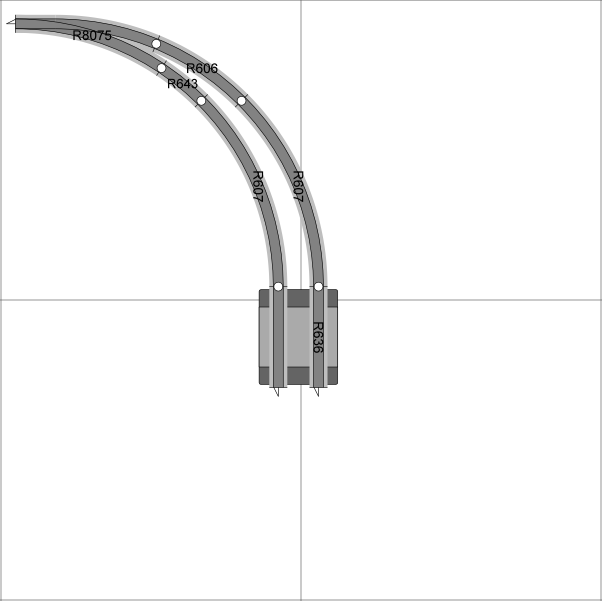 That gives a grand total of 1228mm of space needed (1.23m or 48 1⁄3 inches). I’d want a little mar­gin for error on top of that myself. Being a novice at this can you con­firm the appx over­all size of the board i.,e. 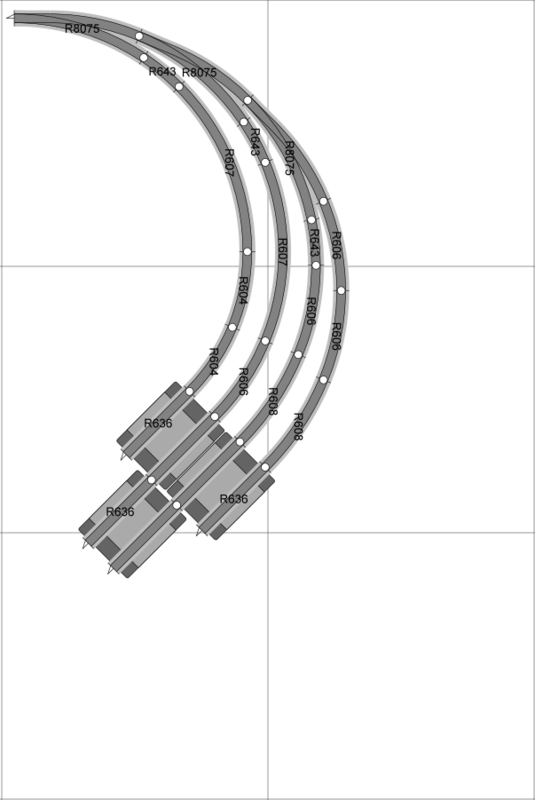 1.3m x 1.3m etc.for the Hornby stand­ard 4 loop track. 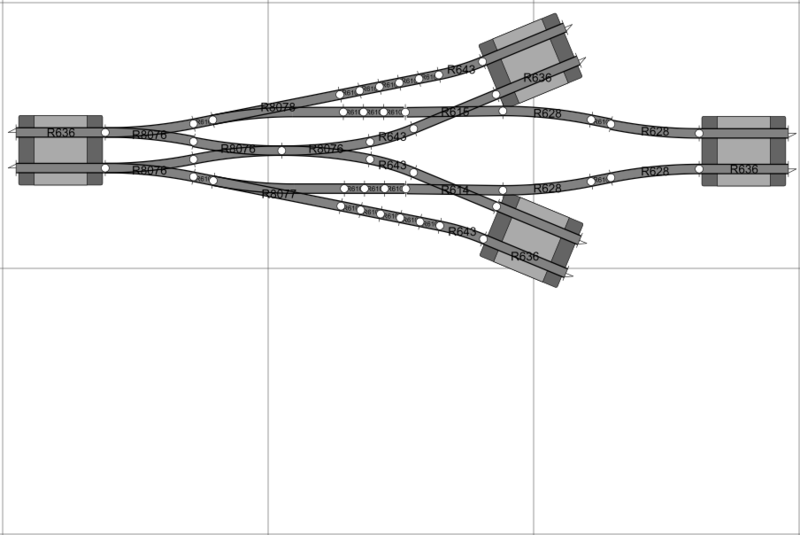 The grid squares are 50cm x 50cm so the stand­ard 4 track loop is approx 1.4m x 2m. 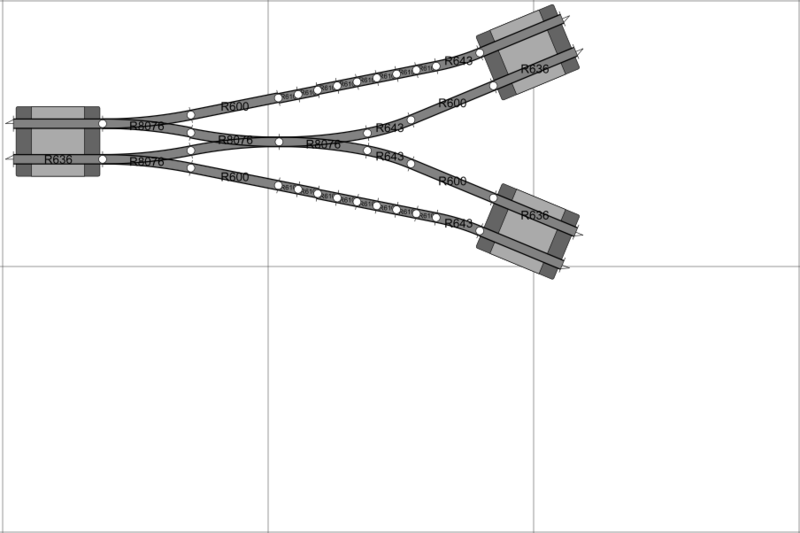 To be more pre­cise I meas­ured it in Any­Rail — with reas­on­able track clear­ance it could be fit­ted as shown onto a board 1.25m x 1.9m. 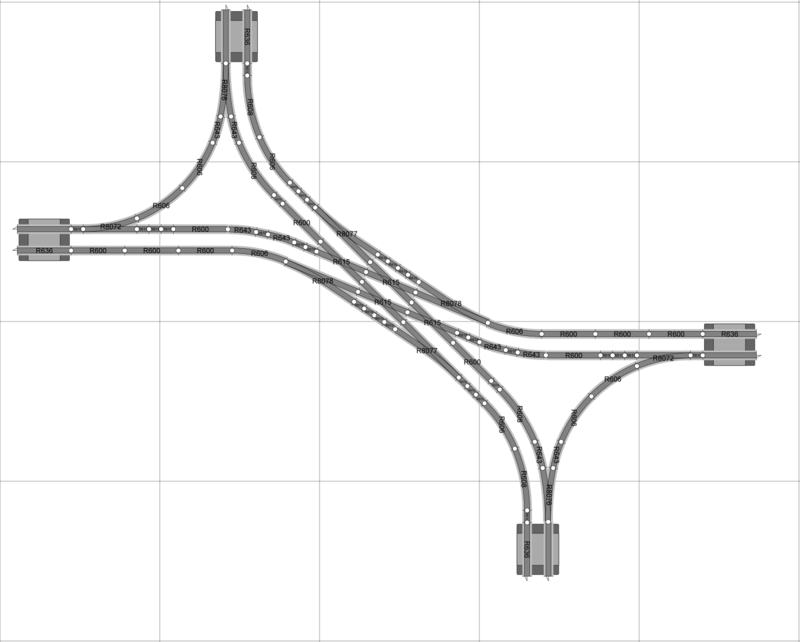 Super item, Jon. 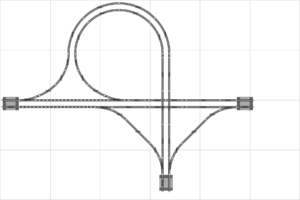 Sorry if I’ve missed it here, but when you men­tion track spa­cing, e.g H0 as 50mm, how is that space meas­ured? 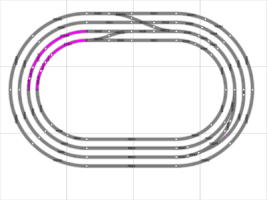 Is it the space between the edges of the sleep­ers of two tracks or say, from track centre to track centre? 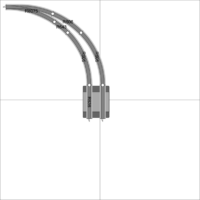 Thank you for doing this, it has helped me real­ise what can be achieved.